Hola friends, happy new year to you and your families! I hope you had a fantastic break! I'm reveling in the fact that I'm still on mine (we practically worked up until Christmas!) and so now I'm home from Christmas travels and have a few days to relax and prepare for January. We go back on the 8th! I have found that I go off on tangents with things. Or I have these great ideas, but then I don't see them through. Or I try and take on too much and so nothing gets done. So this year, I want to be steadfast with my goals...pick the right ones and then get pretty focused about accomplishing them. Did not get a bikini body (yet) hahha, I mean, I'd like to lose 15-20 lbs but a bikini body would be amazeballs! So I bring all this up because I need to become more focused. And so I thought if my word was discipline (that's what I started with) then I could pick a goal and see it through to the end. Except discipline sounds so rough. 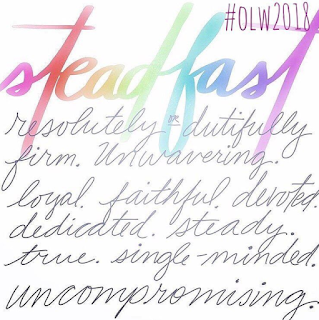 Then I found steadfast and it was love at first sight! Just those three and I knew I couldn't commit to it all, so I'm just focusing January (and prob Feb too) on the detoxing and exercising. I'm going to keep my focus laser like and steadfast in this area in particular. Unwavering. Loyal. Firm. And then, when I have done that, maybe mid February or March I'll get to the writing. Maybe there will be something I feel particularly compelled with at school. Or I'll take dating up again, ha. I'll keep reading along the way, probably writing, too... I actually become even more accountable with my eating and exercising when I'm sharing about it! (Did you know I became a blogger bc of a food challenge? Check out those posts here.) But you see what I mean. So 2018. 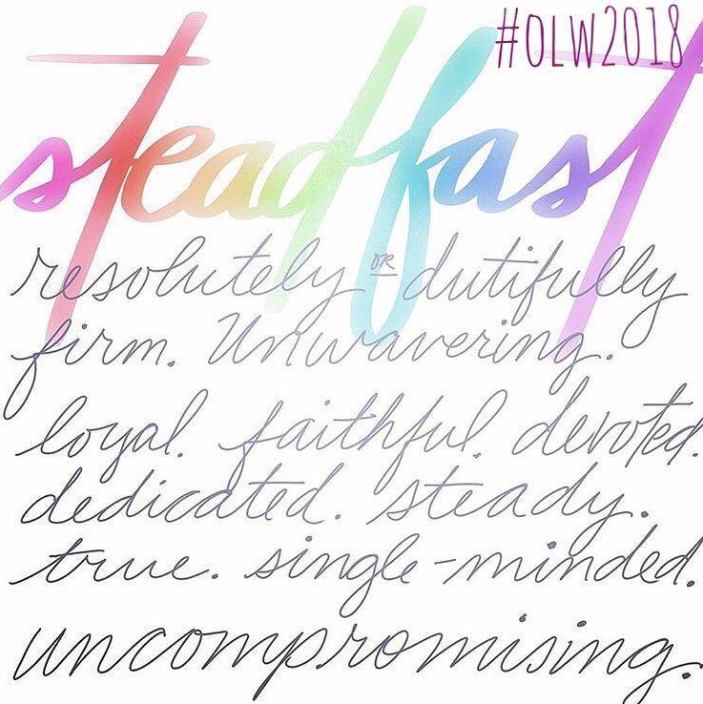 Steadfast. We're starting with health and who knows what possibilities lay ahead! I know this isn't exactly teaching related (yet), but I think the better I feel outside of school, the better I'll be for my students. We'll see what I'll get a hold of in school with this #oneword!